Quickly view rental homes and condos that fit your need. 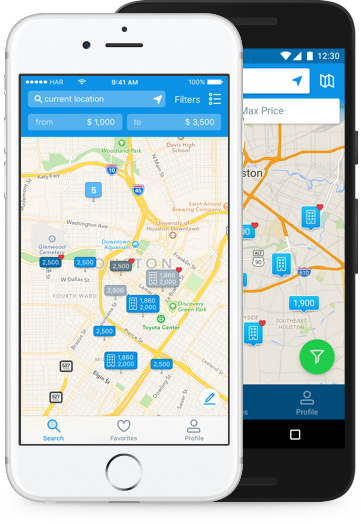 The Texas Rentals app is a unique apartment search designed for consumers to find the perfect place to live (apartment or home for rent) across the state of Texas. It is the only rental property search app that provides a way for you to compare apartments with homes/condos for rent within the same area. The app has the most accurate apartment information, the most comprehensive data (detail pricing and amenities), and rich content, such as photos, optimized floor plans & more. The Texas Rentals app is powered by the award-winning HAR.com property search engine to allow you to make better housing decisions. View Texas Homes for Rent and Texas Homes for Lease on HAR.com. You will have access to MLS listings and thousands of Texas properties listed by real estate professionals.